San Francisco, CA, 94158 U.S.A. Note: Products are not accepted at this address. 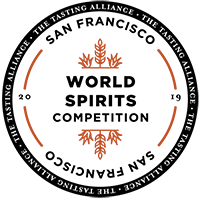 **The San Francisco World Spirits Competition does not pay the entrant’s custom fees, broker fees, or shipping charges. Failure to follow these instructions may result in excluding a product from the competition. San Francisco, CA 94158 U.S.A.